The paradise is a lesser-known classic cocktail but it is a wonderful aperitif and still has an appeal for modern drinkers. Where the gin martini is dry, the paradise is sweet and fruity, making it a nice precursor to summer dinners. 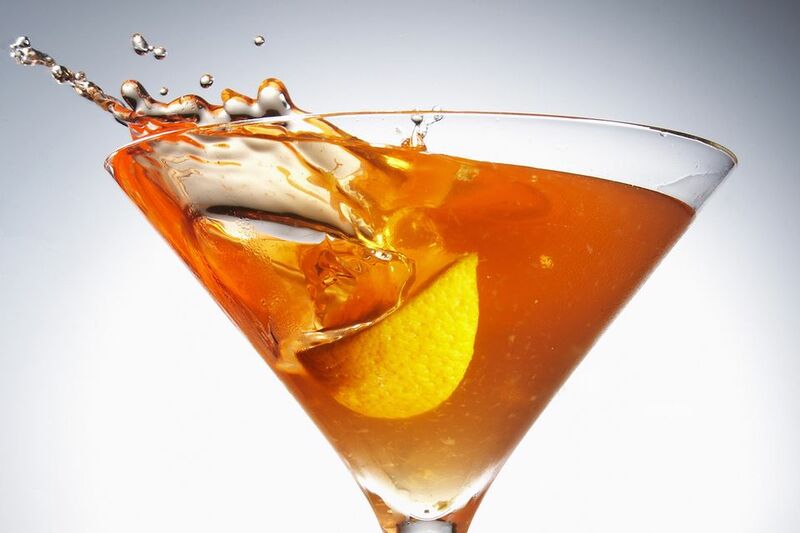 The combination of gin and apricot brandy was quite common in the early days of the cocktail. It's a pleasant taste because the brandy adds a sweet fruit contrast against the gin's botanical flavoring and drier profile. The orange juice complements both of those, bridging the gap and adding a bright citrus touch that is very enjoyable. If you can, use fresh squeezed orange juice to complement the gin. One orange should yield more than enough juice for a single drink. For the gin, you want something that has the traditional array of botanicals and a full juniper flavor. A London dry gin like Beefeater or Martin Miller's will provide a perfect foundation for this cocktail. When choosing the apricot brandy, read the labels carefully and expect to pay a little more for a good bottle. Many on the market today are sweetened, making them more of a liqueur rather than a true fruit brandy. It would be best to choose a real apricot brandy, though some quality liqueur versions (such as Bols or Luxardo) are good options as well. As with most martini-style cocktails, chilling your glass is highly recommended. The easiest way to do that is to place a few ice cubes in the glass while you're mixing the drink. Dump the ice before straining. Though it's traditionally left ungarnished, a small orange wheel or a long, elegant twist are great options for dressing up the paradise cocktail. If you're squeezing fresh juice, cut the peel into a twist using a pairing knife or channel knife before cutting the orange in half to make the most out of a single piece of fruit. This recipe is the up version of the drink, but a paradise shooter is also pretty popular. To make that drink, simply shake up equal parts (about 1/3 ounce each) of the same three ingredients and strain it into a shot glass. The Boston cocktail is very similar to the paradise cocktail. In that recipe, you'll use equal parts gin and apricot brandy, accenting them with grenadine and lime juice. The English rose cocktail is another classic that builds on the gin-apricot brandy pairing. The recipe includes dry vermouth, lemon juice, and grenadine. How Strong Is a Paradise Cocktail? The amount of orange juice in the paradise cocktail helps make this a nice and relaxed drink. It's not too strong, but it's not light either. On average, its alcohol content will be in the 18 percent ABV (36 proof) range.